Multilateral Environmental Agreements (MEAs) are the predominant legal method for addressing transboundary environmental problems. Nowadays States, particularly least developed and developing countries, face the challenge of implementing over 300 MEAs with limited technical, financial and human resources. For the adequate application of and compliance with MEAs at national level, there is a need to develop specific capacities on environmental law and raise the level of awareness in the field. This course aims to provide a broad introduction to International Environmental Law’s (IEL) main topics by introducing its sources and fundamental principles, law-making processes, main actors and the implementation and compliance procedures needed to understand the content of MEAs. Define the role and importance of international law in the protection of the environment and identify the main actors involved in the development of IEL. Describe the historical evolution of IEL and identify the key legal instruments in its evolution. Identify the mechanisms and techniques established to ensure compliance with environmental obligations. Differentiate between the different sources of international environmental law. Analyze the major principles and emerging concepts of IEL and apply them to concrete situations. The course is composed of five lessons corresponding to 20 learning hours. Participants will first be provided with a general introduction to IEL along with an overview of its historical evolution. They will then be exposed to the making and application of IEL as well as its fundamental principles. Finally, they will gain knowledge about the different concepts that define IEL. Depending on the lesson, there is a slight variation of the amount of study time required. As an average, participants can expect to devote approximately 12 hours per week to review the course content and complete course activities. The course design allows participants to actively interact with their peers and the moderator. Guided discussion forums are organized on selected topics to allow experience and knowledge sharing. Participants also have the opportunity to work with practical examples, analysing case studies and conducting short research. The course is moderated by a subject matter expert. The course moderator will facilitate the learning process and guide participants throughout its duration. To assure an adequate level of interaction the cohort is limited to 30 participants. This course is designed for government officials from ministries of the environment, agriculture, forests, water, tourism and foreign affairs. It also targets international civil servants, NGO representatives, judges, prosecutors and lawyers working in the fields of environmental law/management, international relations/politics and sustainable development. Additionally, it is directed at academics, private sector professionals and graduates interested in specializing in International Environmental Law. Certificates: Participants who successfully complete all the course activities and assessments will receive a Certificate of Participation issued by UNITAR. Technical Requirements: The course is delivered through UNITAR’s Virtual Learning Environment and participants will require a reliable internet connection throughout its duration. Consult the complete list of technical requirements here. The Introduction to International Environmental Law is the first course in the Series of Courses on International Environmental Law, which includes three other titles: International Environmental Governance; Techniques and Procedures in International Environmental Law; and, International Environmental Negotiations. 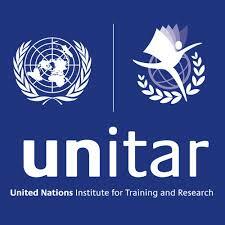 UNITAR offers 2 sessions of the Series per year, therefore the Series can be completed in one or more sessions. Upon the successful completion of the four courses, participants are entitled to receive a Certificate of Completion for the UNITAR Series of Courses on International Environmental Law.